The D610 uses the same 24.3-million-pixel sensor as that found in the D600, and the quality of results was as expected. The level of detail achievable with raw files is very impressive, scoring 32 at its base ISO of 100, with JPEGs only just behind at 30 – thus edging out its closest rival, the 20.2-million-pixel Canon EOS 6D, which scores 30 for raw. 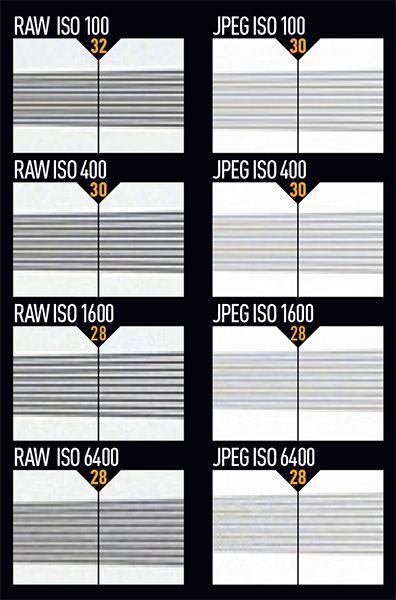 Raw files and JPEGs at lower sensitivities display smooth and detailed results with no noise. It’s only at ISO 3200 that subtle luminance and colour noise begin to creep in, becoming a little more pronounced at ISO 6400, although images are certainly usable. While in-camera processing can be an issue at higher sensitivities for some cameras – it often results in a waxy look – the D610’s JPEG files hold up very well. This is thanks to fairly light processing being applied so that not too much detail is sacrificed, although for best results we’d recommend shooting raw and spending a little time post-processing the image to achieve the better result.